Municipality in Moldavia, the residence of Bacău County is located at an altitude of 165 m in the Siret Valley, right by the river Bistrița (due to which there is a hydroelectric plant that supplies a part of the electricity of the city), near the confluence with the Siret. 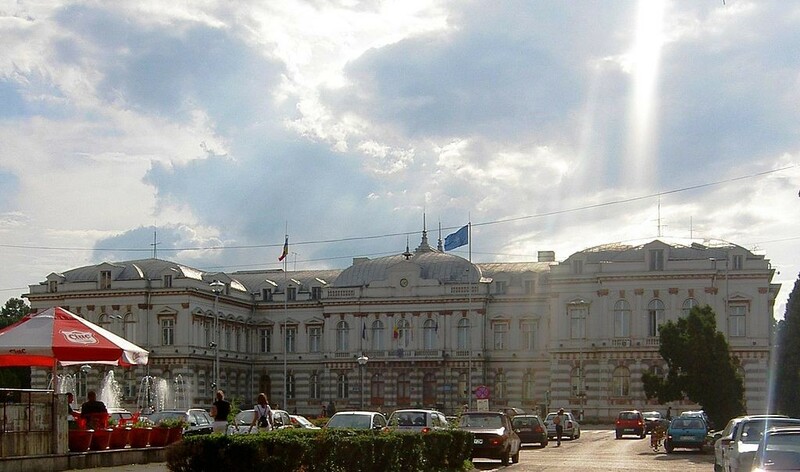 Also known as the city of Bacovia, Bacău counted during the census of 2011, a number of 144.307 inhabitants. Bacău appears documented during the reign of Alexandru cel Bun, being known on the 6th of October 1408. The roots of the population that developed in the area of Bacau have their origin in the primitive commune, about 5000 years ago, as witnessed by the discovery of an object used for hunting, in the Revolution Square. This object proves the existence of a trade between the population of this region and other remote areas, whereas the material it was made of could not be found here at that time; along with the excavations made ​​for building the Mărgineni Passage, there have been found traces of a settlement dating from the Middle Bronze Age. Also, in the area of Precista Church were found remains of a settlement that belonged to the Late Bronze Age. Nearby Curtea Domnească, the Banca Natională and Bradului street were discovered both fragments of objects, and settlements that demonstrates occupation of the inhabitants (agriculture, livestock, crafts, fishing and hunting) and the continuity of a civilization throughout the ages. In 1467, Bacău is being occupied and largely destroyed by the Hungarian army led by Matei Corvin. It became a point of interest on the map of Moldavia due to its importance in trade between Moldavia, Ţara Românească and Transylvania. At the end of the 14th century, Bacău had become a significant settlement in military and commercial terms. From the late 15th century dates back historical monuments such as Curtea Domnească and Precista Church, during which Alexădrel, the son of Ştefancel Mare settled in Bacău. In Bacău area were built two hydroelectric plant and thermal power plant.After the revolution from 1989, the main industrial activities of Bacău were: petrochemical industry, nutrition industry, woodworking and paper industry, textile industry, chemical industry, mechanical industry and aviation industry. Also, Bacău has an airport (“George Enescu” International Airport) and anaircraft company. Bacău County can boast witha developed network of education, recognized both internally and in externally.At the higher education level there are two universities: “Vasile Alecsandri” University (state) and George Bacovia University (private).Global performance is obtained by students participating from equally prestigious high schools such as: “Gheorghe Vrânceanu“ National College,“Vasile Alecsandri”, “Ferdinand I” National College, “George Apostu” National College of Art, etc. The ruin of Curtea Domnească, which was designed for museum in 1973, reflects the Moldavianbuilders art of thatcentury. Prăjeşti is a village located at 20 km from Bacau ,where there is a botanical garden and a museum.